Sierra Leone moved sharply lower over the past year, as of World Press Freedom Day on Sunday, May 3. The 2015 World Press Freedom Index noted that the West African nation's ranking dropped from 72 to 79 out of 180 countries with an overall score of 28.23 (-0.24 decline from the previous year) and abuses score of 29.44. The good news is that no journalists or net citizens were killed in Sierra Leone in 2014. In the Mano River sub region, neighboring Liberia is ranked at Number 89 out of 180 countries with an abuses score of 20.79. Liberia’s ranking remains unchanged from 2014, as does Guinea, ranked at 102 out of 180, with an abuses score of 56.20. One journalist was killed in 2014. According to the World Press Freedom Index, Côte d’Ivoire rose sharply in the 2015 index after a deep fall from 2010 to 2012, as it continued to emerge from the political and social crisis caused by the civil war in late 2010. Radio and TV broadcasting is due to be opened up to the private sector in 2015 but there is concern that the process will include provisions for censorship. 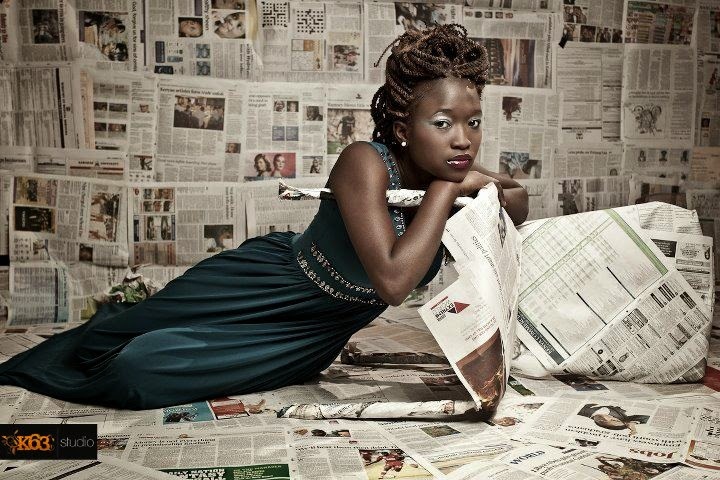 There is no shortage of media diversity but Côte d’Ivoire's media are partisan and lack independence, the report said. Overall in the West Africa region, Ghana, which rose five places to Number 22 out of 180 countries, led with an abuses score of 17.92, compared to giant Nigeria, ranked Number 111 out of 180 countries with an abuses score of 45.00. The Reporters without Borders World Press Freedom Index ranks performance according to a range of criteria that include media pluralism and independence, respect for the safety and freedom of journalists, and the legislative, institutional and infrastructural environment in which the media operate. Internationally, there was a drastic decline in freedom of information in 2014. According to Reporters without Borders, two-thirds of the 180 countries surveyed for the 2015 World Press Freedom Index performed less well than in the previous year. The decline affected all continents, RPI said in its statement. Top of the list, as so often, are three Scandinavian countries: Finland, which has been in first place for five years in succession, followed by Norway and Denmark. At the other end of the scale, Turkmenistan, North Korea and Eritrea, in last place, were the worst performers. France is ranked 38th (up one place), the United States 49th (down three places), Japan 61st (down two places), Brazil 99 (up 12 places), Russia 152 (down four places), Iran 173rd (unchanged) and China 176th (down one place). The United States fell three places to 49. In Europe, the region saw Italy fall 24 places and Iceland dropped 13, where RPI analysts were looking for "model of democracy". In Asia, East Timor fell by 26 places. In 2014, the government proposed a tough new media law, which has led to widespread self-censorship. The region that is bottom of the freedom of information list, North Africa and the Middle East, this year once again struggled with control by non-state groups in which independent information simply does not exist. In central Africa, Congo fell 25 places. According to RPI, journalists who refuse to keep quiet are forced to flee the country or are expelled. World Press Freedom Day was proclaimed by the UN General Assembly in December 1993, following the recommendation of UNESCO's General Conference. 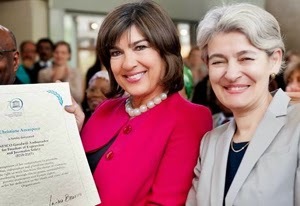 This year UNESCO, the United Nations agency mandated to promote and protect press freedom worldwide, has named renowned journalist and CNN Chief International Correspondent Christiane Amanpour (shown left) its Goodwill Ambassador for Freedom of Expression and Journalist Safety. The need for “quality journalism” - reporting that is accurate and independent, remains a constant concern in a media landscape that is changing due to technological and commercial developments. Gender imbalance continues in the media 20 years after the Beijing Declaration and Platform for Change. All too few women journalists are able to reach decision-making positions in the media. The third theme is digital safety, a topic of growing concern because digital communications makes it difficult for journalists to protect themselves and their sources. The annual UNESCO/Guillermo Cano World Press Freedom Prizeceremony will take place on 3 May 2015 at the National Library of Latvia in Riga. The winner is Syrian journalist and human rights activist, Mazen Darwish, who is currently imprisoned. Roads and Bridges | Where Are We Now?